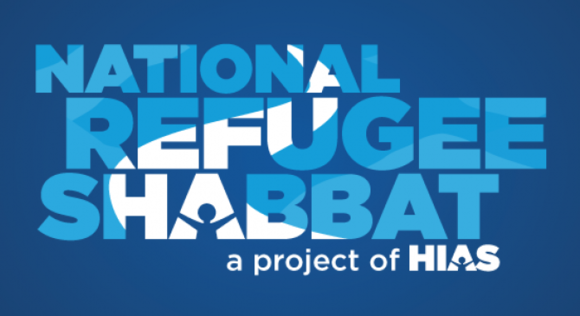 National Refugee Shabbat 2018 is a moment for congregations, organizations, and individuals around the country to create a Shabbat experience dedicated to refugees. This national event is a meaningful opportunity to deepen our understanding of today’s global refugee crisis, connect with the Jewish movement for refugees, commit (or recommit) to taking action, and celebrate our community’s achievements. We will have two guest speakers from International Rescue Committee (IRC), and the Safars (our adopted refugee family from Iraq) will be joining us on Saturday as we honor them on this special Shabbat. For more on HIAS click here. 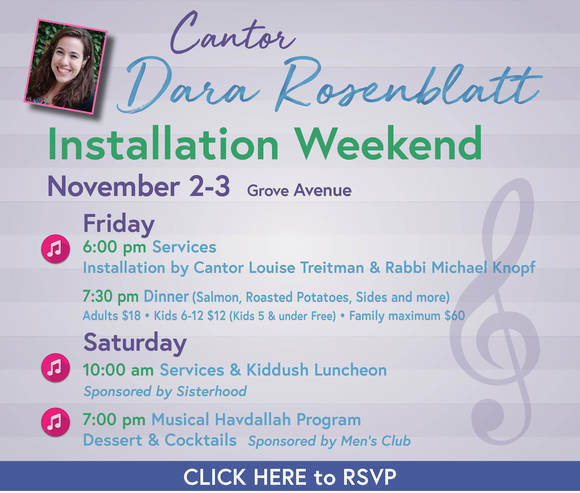 Evening with Nurit Gery: at the home of Rabbi Knopf,Tuesday, November 13 7:30pm-9:00pm, click on title to register. Weinstein JCC Patron of the Arts Kick-off: Mark Nizer 4D, a family-friendly event, Sunday, October 28, 4:00 pm at the Weinstein JCC. Click here for tickets and details. 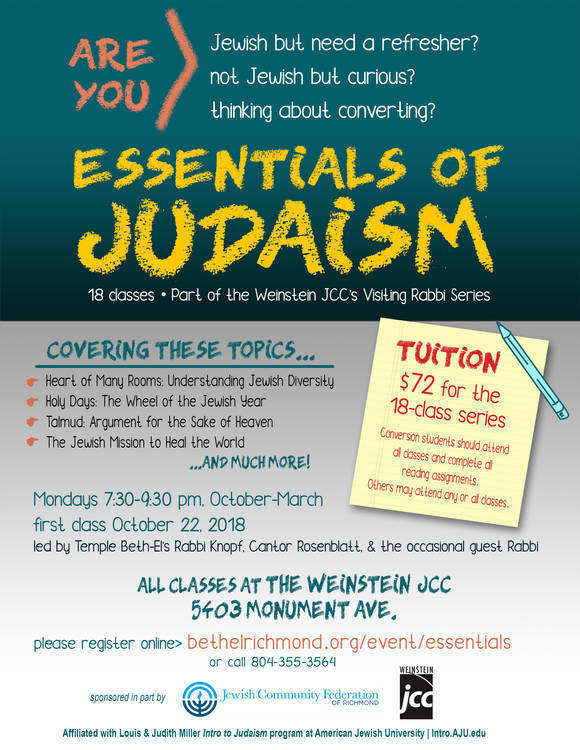 First class this Monday-- Register now!